I'm not kidding when I call this recipe an "everything dressing". This stuff is so good that we have literally used it for anything (and everything) we possibly could. Cutting up a tomato? Let's dip it in the Everything Dressing! Making a sandwich? Smear some Everything dressing on that bread! Leftover steamed veggies from last night? Oh hey, let's dip it in that Everything Dressing and call it lunch. We have even used it for a quick pasta sauce, kale salad dressing, coleslaw dressing and even sautéed potatoes in it! Those friends, were delicious!!! The greatest part? Because there is no dairy in sight, this would be a great BBQ, potluck or picnic staple! Because the ingredients are so simple, I strongly suggest finding the best quality of everything that you can. Especially the olive oil. Get yourself a goooood quality extra virgin olive oil. Trader Joe's makes a California Estate Olive Oil, which we ADORE. This recipe literally couldn't be easier! All you need to do is add all the ingredients to a bowl and whisk together or add to a mason jar with tight-fitting lid and shake what your mama gave ya! Once dressing is well combined use however you see fit! Store dressing in an air tight container in the fridge for a few weeks! Whenever you want to use it, allow to come to room temperature slightly as the dressing may solidify a tad with the cold of the fridge. Give it another shake or whisk and you're good to go! This really is an "everything" dressing as we have used it for a quick pasta sauce, kale salad dressing, coleslaw dressing, smeared over bread for sandwiches, and even sautéed potatoes in it! Chicken, beef or fish marinade! 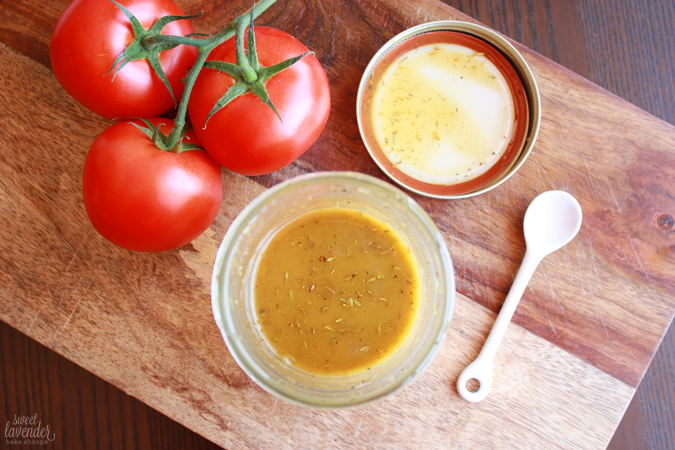 Dipping sauce for cooked poultry or meat (or fish)! 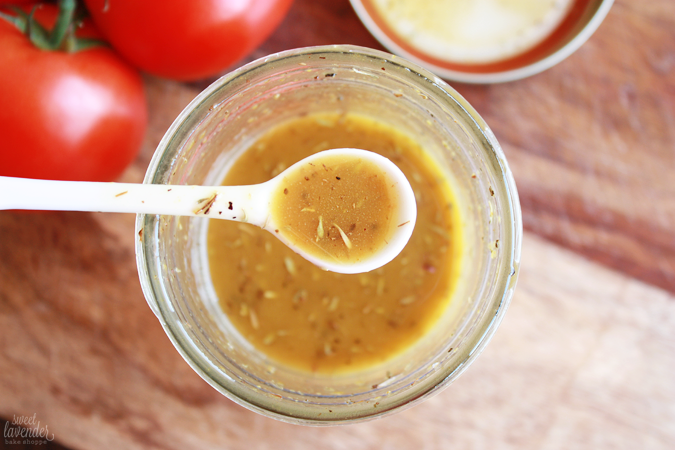 Sauce for pasta salad or potato salad! It's great sitting out room temperature because there's no dairy or eggs in it! 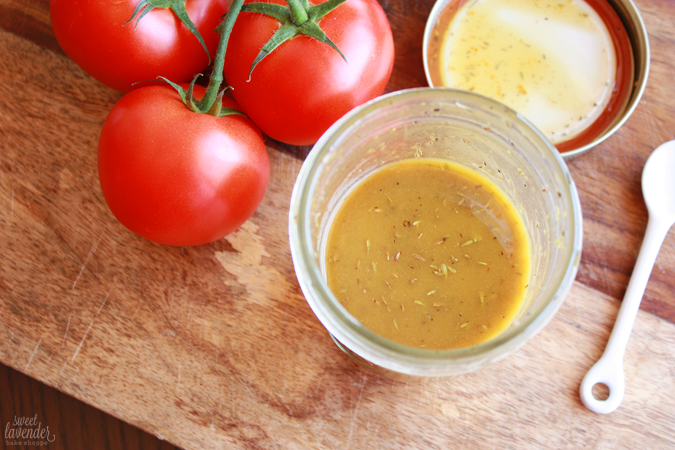 Use to dip, sauté, or dress veggies with! Get to your kitchen, grab these simple ingredients and make yourself a batch of Everything Dressing. I promise you'll be happy you did! Linking up with Jack of All Trades. This looks so good and easy! I love easy and I can't wait to try this! It's ridiculous! Plus since there's no dairy, it can sit out room temperature for a while! Perfect for picnics or bbqs! Score.